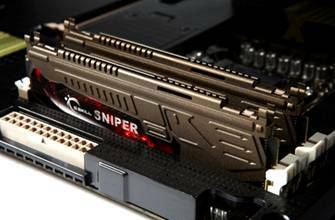 [Press Release] G.Skill Launches New Sniper Memory Series: Made For Gamers And Modders! 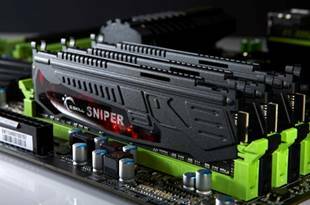 G.Skill have now launched their new Sniper Memory Series that is specially designed for PC gamers as well as modders. Available with CL9 and CL10 timings in 1333, 1600 and 1866 MHz speeds, these operate at a wooping low power of JUST 1.25v! That is a very good thing as it saves a lot of power while being energy efficient and eco friendly. These DDR3 kits will be available in a choice of 8, 12, 16, and 24 GB kits in Black. Taipei-Taiwan – March 14th 2011. G.Skill, the worldwide leading memory designer and manufacturer, has announced the newest concept and development of new Sniper series designed specifically for PC gamers and modding enthusiasts. Extensive compatibility tests are conducted on a wide range of Intel® and AMD platforms, which guarantee the best performance, quality and reliability for user’s gaming needs. The New Sniper series is designed in ultra low voltage, especially 1.25V. This kit can save up to 10% electric power which will simultaneously allow gamers to enjoy smooth gaming without any overheat problems and meet energy efficiency requirements. [Press Release] Exceleram Announces Dual, Tri, Quad, & Hex DDR3 Blue Rippler Kits! [Press Release] G.Skill Releases RipjawsX For Sandy Bridge! Mushkin Reveals Blackline Ridgeback DDR3-2000Mhz Memory Kits.